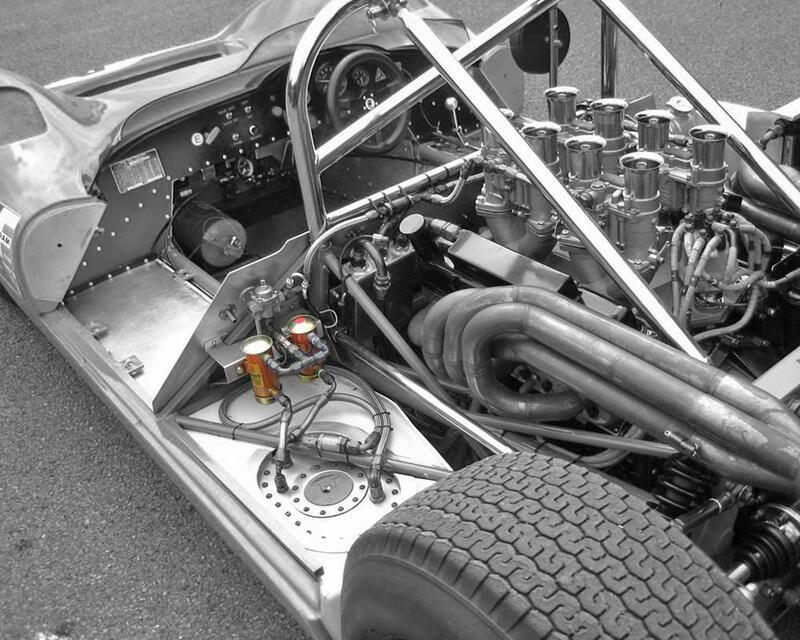 We receive a lot of enquiries from customers who are trying to replace worn or sometimes failed Facet fuel pumps for various applications; from Historic racing cars to diesel generators and dumper trucks. There are a few different specifications for the more popular Facet pumps, from the rectangular Solid State fuel pumps to the Competition Spec. Cylindrical Red Top Facet pumps. Here, we will try and help you to identify your existing Facet pump so you can find the most suitable replacement. 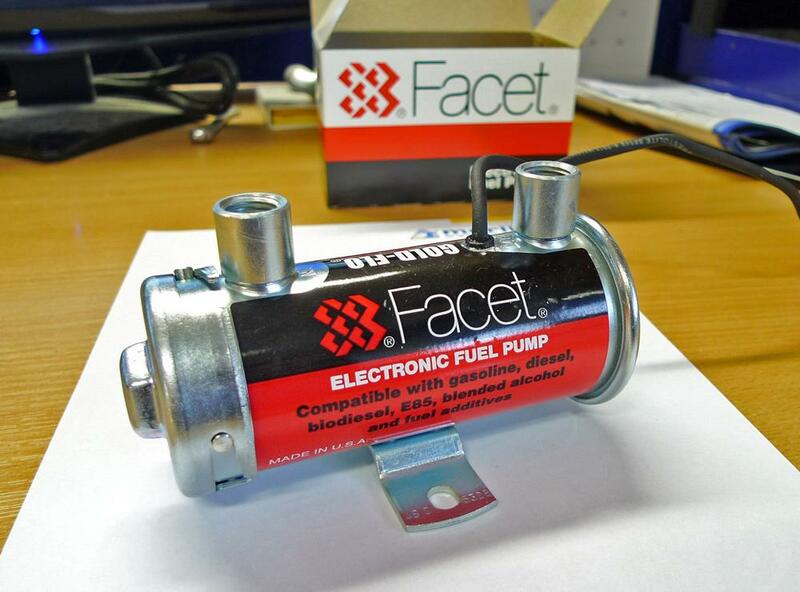 The Facet Solid State fuel pumps are found on hundreds of different car applications, as well as diesel generators, tractors, dumper trucks, canal boats to name but a few. These pumps can be used with standard pump fuel, Diesel, Biodiesel, Alcohol mixes and with fuels which use fuel additives. Here at Merlin, we stock many variants of the Solid State fuel pumps, with the road version operating at around 1.5 to 2.5PSI to the Competition spec. 40107 version which operates at around 7PSI with many variants in between. To ascertain which pump you have is normally fairly straight forward. Hopefully your pump will still have it’s mounting brackets attached to it. 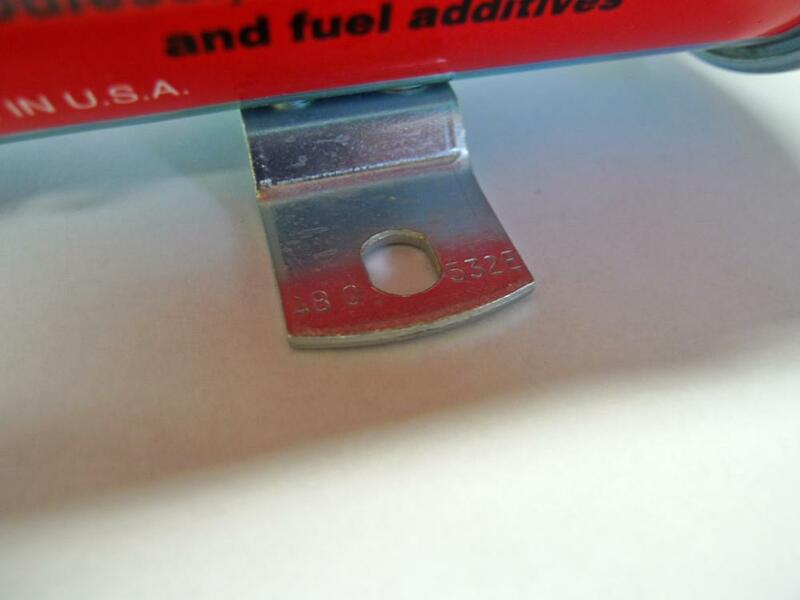 On one side of this bracket will be the all important part number. 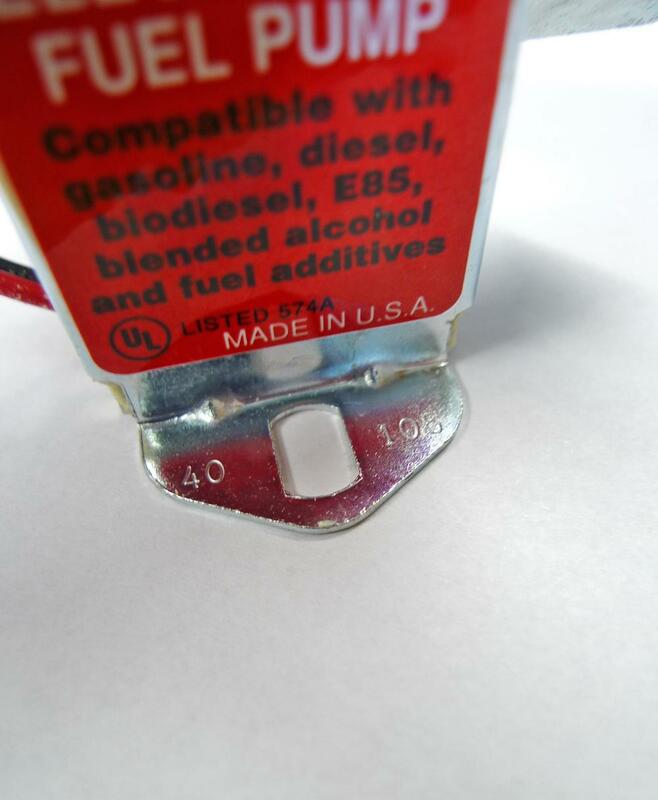 Normally the part number starts with 40 (some variations have been seen) on one side of the mounting hole, followed by 3 more digits on the other side of the hole, such as 105 for example, thus giving you the Facet part number of 40105 which happens to be Road version pump working at between 2.5 and 3.5PSI. Facet do a variation on their Solid State fuel pumps. 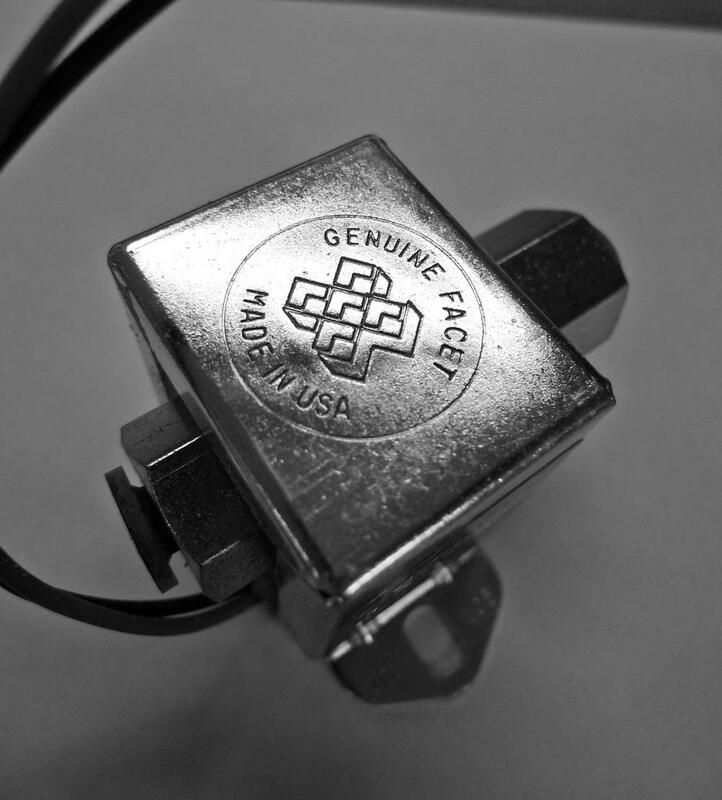 Known as Posi-Flo fuel pumps, they feature similar internals to the Solid State cube pumps, yet are quieter in operation. 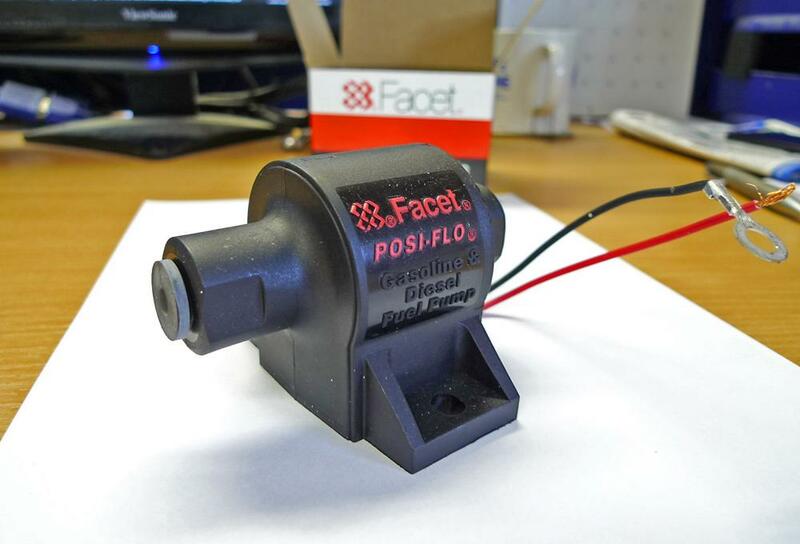 Also available with differing flow rates and pressures, this model of Facet pump can be identified by the part number stamped on the back of the pump. It is normally a 5 digit number, starting with 60. Another popular type of Facet fuel pump found on many competition and road cars are the Red Top and Silver Top (also known as Gold-Flo pumps) cylindrical fuel pumps. These pumps are very common on many race cars as they are relatively high flowing and tend to be very reliable. The Silver Top pumps have smaller 1/8NPT inlet and outlet threads, where as the higher flowing Red Top pumps have 1/4NPT threads. Silver Top pumps are rated to around 200BHP, Red Top pumps for over 200BHP, as a guide. 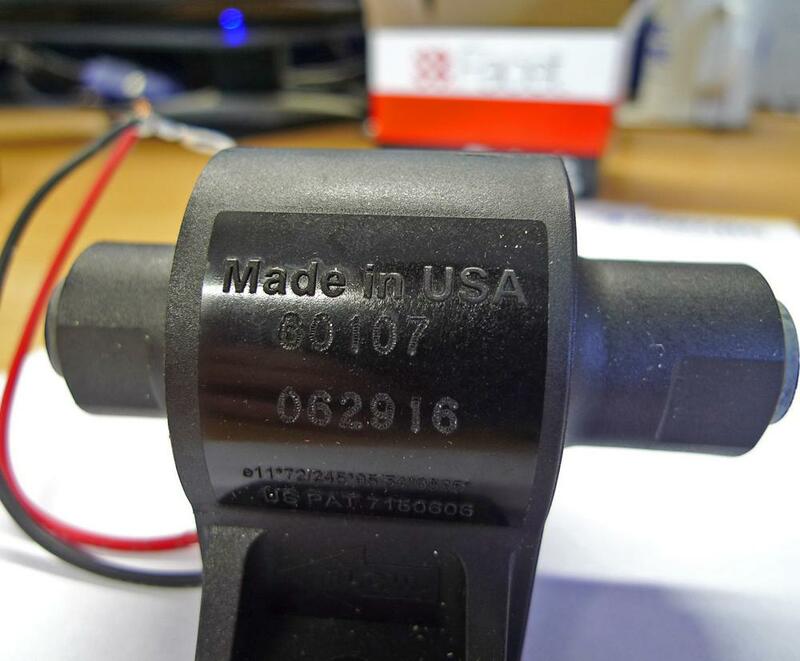 In a similar manner to the Solid State pumps, the Facet Cylindrical pumps also have their part number stamped on the mounting bracket of the pump itself. These tend to be a 6 digit number, often starting with a 4, it should read something like 480, then the mounting hole, then 532 (sometimes a letter is also shown). PLEASE NOTE – It is of vital importance that all Facet fuel pumps are used with a fuel filter fitted before the pump in order to prevent the pump being contaminated with foreign objects and thus causing premature failure. 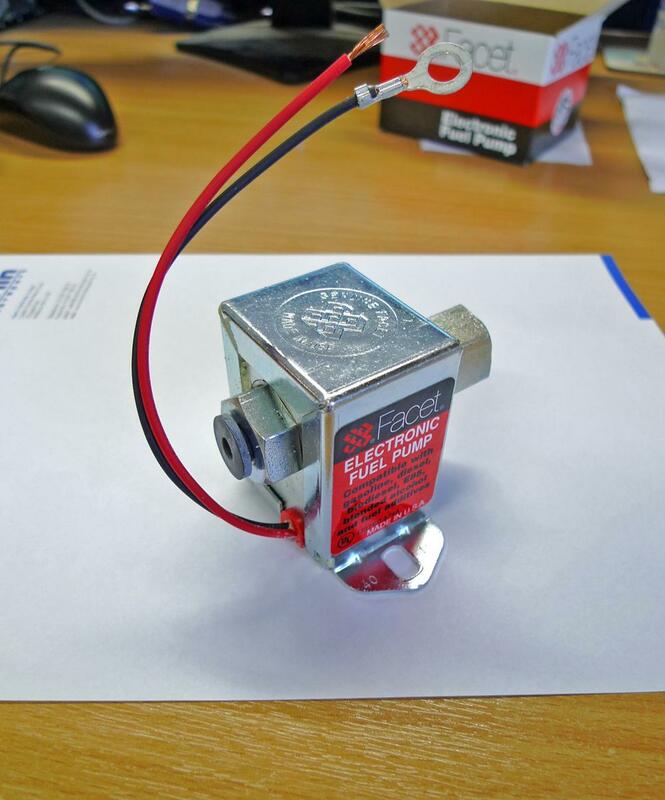 We list the popular types of both Solid State and Cylindrical Facet fuel pumps on our website. But, if you can not find the pump you require, do not hesitate to contact us as we can get many variations of fuel pump within a couple of days.